You are able to convert plain text to pdf in just two minutes with a free program which is named as VeryPDF Text to PDF Converter. 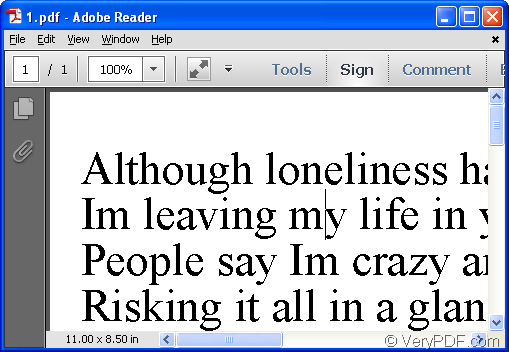 It can realize different kinds of functions like setting pdf font size, font color, font style, etc. This article aims at showing you how to fulfill the conversion from txt to pdf and set parameters for the target pdf file. 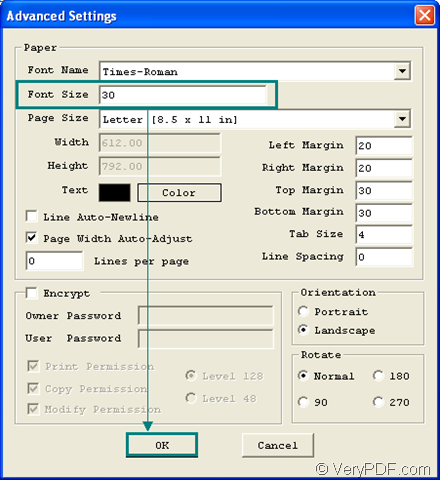 For using the application Text to PDF Converter, please download it to your computer via clicking this link. Then please double click the application installer and follow the setup wizard to fulfill the installation process. Please double click the application icon to open Text to PDF Converter or you can open it through Start menu. In its interface, you need to set parameters at first. 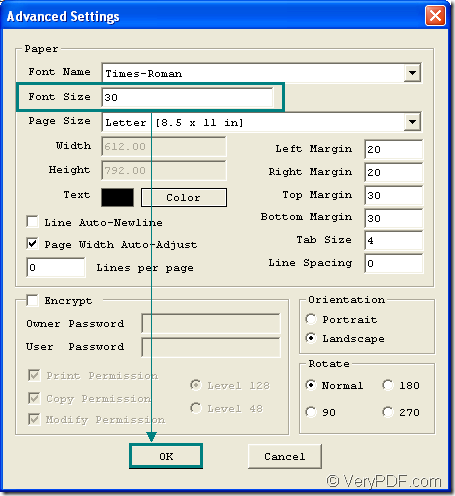 Please click Menu—Advanced Settings to open Advanced Settings window in which you can set pdf font size according to your needs in Font Size edit box. 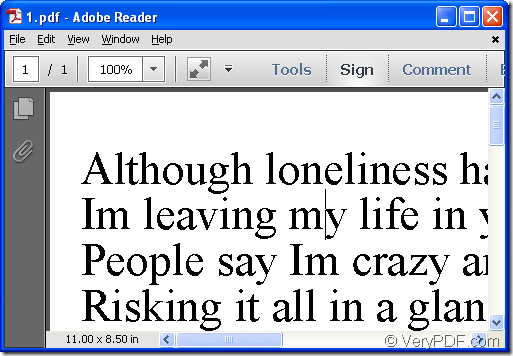 For example, you can set the font size as 30. Then please click OK button. Please see it in Figure 1. Then please add pdf file into Text to PDF Converter by drag and drop operation. As long as the file successfully being added into the program, the dialog for saving target file will pop up at once, in which you need to specify the output location and file name. At last, please click Save button to start the conversion from plain text to pdf. Please see the original text file and created pdf file in Figure 2 and Figure 3. Note: Text to PDF Converter is free to personal usage for non-commercial purpose. But if you need to use the application for commercial purpose, you will need to purchase it on its homepage. This entry was posted in PDF to Text Converter and tagged free program, txt to pdf. Bookmark the permalink.